Good news! 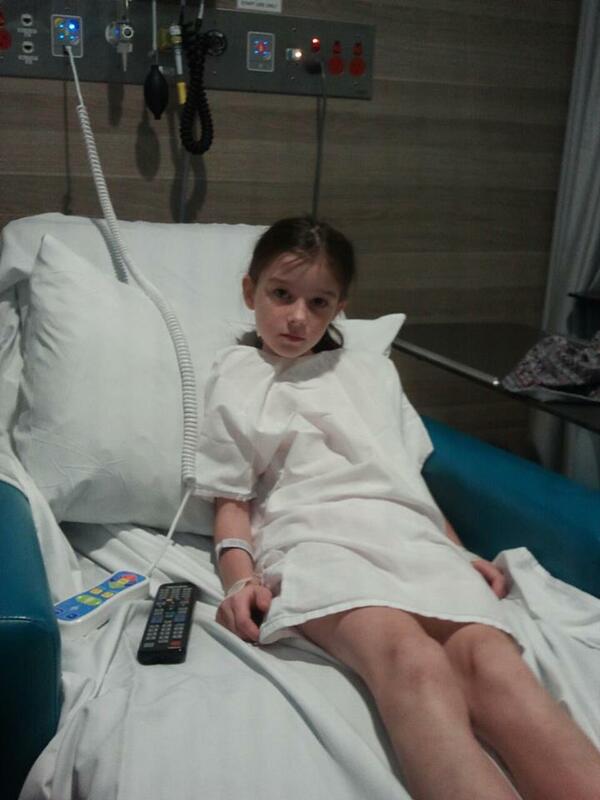 Our daughter has mild gastroparesis or delayed gastric emptying and no signs of coeliac disease or diabetes…phew! She has been prescribed periactin, which as far as I can see through a quick Google search, can stimulate the appetite in underweight people. I am also looking at her diet to boost her intake and she’s also having a food replacement drink. So it’s looking like I’ve got all the bases covered…including having to grind up the tablets at the moment. She had a really good try at swallowing it but she just couldn’t even swallow half or quarter of a tablet. I was like this as a kid myself and I remember my poor mother grinding up tablets and mixing them with honey. It seems what goes around comes around. I don’t think we could have had a better outcome from yesterday’s appointment. I was stoked, relieved, so very thankful and would have been doing the Happy Dance if I wasn’t feeling physically and emotionally drained. I still feel like I’ve been runover by a steamroller or squashed by that very heavy, metaphorical elephant. It was a long day and I did the 1.5 hour drive home admittedly via the deli in Wahroonga where I procured some top shelf gourmet mental health food: Double Choc Brownies and a gooey cinnamon bun. Cinnamon scrolls are a rare breed in Australia or at least gooey ones like this are. Wow, it was good! Driving home, in some ways, the whole scenario felt like a huge non-event. Oh! It’s just mild gastroparesis and we were told there was essentially nothing they could do to treat it but we have this pill. Yet, this doesn’t negate that she’s underweight, a picky eater and was once again feeling sick after breakfast this morning. It doesn’t cancel out the extreme stress we’ve had with a child who can’t or won’t eat and ends up with low-blood sugar and gets cranky. I’m sure this isn’t going to magically go away by just clinking my fingers, either and it hasn’t!! 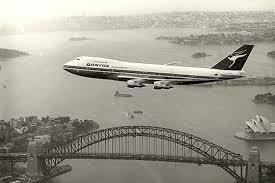 My kind of journey: time traveling back to the 1970s with Qantas flying over the Sydney Harbour Bridge. All of this is what people call “a journey”. However, when I think of going on a journey, doctor’s surgeries, hospitals, waiting rooms are certainly NOT on my itinerary. No! That’s not a journey. It might have its moments of sunshine but it’s still a perplexing quagmire and “journey” just doesn’t convey the intensity of those moments when bad luck, despair, pain and sorrow converge and attack. The bullets are flying. You’re madly scuttling for cover…any kind of cover just as a bomb goes off. Although you emerge from the battlefield unscathed without a scratch on the outside, you’re certainly NOT at the Teddy Bear’s Picnic either!! 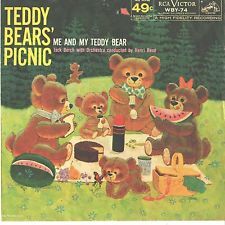 If only life could be a continuous Teddy Bear’s Picnic! Don’t get me wrong. I’m as positive and the next person but it is what it is. Even when you come through the battle unscathed, there are still those invisible scars on the inside because you know what might have been. It didn’t happen but you went there in your mind and you knew. You saw. You anticipated but somehow found a U-turn. It’s still with us and hasn’t gone away but it has very much shrunk and I hope become more manageable. As we left the doctor’s surgery, I picked the much deflated elephant off the doctor’s desk and brought it back home and it’s now sitting in my china cabinet alongside my vintage teacups. The elephant in the room is no longer looming overhead and intimidating me like a stand over man. It’s shrunk back down to size and I’m so relieved. My next challenge after all these tests and appointments, is to convince our daughter that the elephant’s under control or at least will be in time. She is very much in the early stages of coming to terms things and this process is intensified through lack of food. As much as we might want things to go back to “normal”, she needs to be given the the time and space, understanding, compassion and acceptance to deal with this in her own way and I’m pretty sure that once she does that, she will start getting better too! Thanks once again for your concern, encouragement and support. It means the world to me!! This entry was posted in Compassion, Health, Parenting and tagged acceptance, adventure, adversity, anxiety, Australia, Bex, child, children, chocolate, chronic illness, compassion, cure, Delayed Gastric Emptying, diagnosis, doctor, food, fussy eater, fussy eating, gastroparesis, healing, health, hope, hunger, journey, kids health, love, magic pill, medicine, mental health, mom, mum, parenting, patient, skinny, starvation, suffering, Sydney Harbour Bridge, Teddy Bear's Picnic, travel, tummy aches, underweight on March 31, 2015 by Rowena. This entry was posted in Uncategorized on March 31, 2015 by Rowena. Evicting the Elephant from the Room!! An elephant has been living in my room. It’s never had a name and it’s never shared its story but some time ago, it simply moved in and it hasn’t moved out, rudely bailing me up in my own home. Ever since, I’ve been feeling like a teeny, weenie, terrified mouse scrunched up hiding in the corner too afraid to come out. After all, how could a tiny, little mouse ever take on such a monstrous elephant? It wouldn’t even need weapons of mouse destruction. It could just sit on me and I’d be flatter than a pancake. I doubt you’d even find my shadow. Obviously, confronting an elephant is a serious consideration and not something I’d file as an “irrational fear”. However, costs are mounting and I simply can’t afford to indulge its freeloading consumption any longer. That elephant has to go and I will do whatever it takes to get it out!! For many years now, the elephant in the room has been my auto-immune disease, which is inconveniently known as dermatomyositis. That elephant moved on now that I’m back in remission. However, as we all know, elephants are very sociable and have fantastic memories. So once you’ve entertained one elephant, word gets around and another one quickly takes its place. You don’t even need to serve peanuts. While having your own elephant might seem amazing, they’re actually very hard work. It might be fun riding an elephant to work or using it to clean the car, water the garden and even to do a bit of heavy lifting. However, take a serious reality check. Elephants are actually seriously high maintenance! After all, elephants not only eat and eat and eat and eat. What goes in, must come out. Talking about what goes in, a handful of lawn mower clippings is hardly going to feed this insatiable beast. Elephants eat 250-300 pounds of food per day on average and in a zoo, a typical adult elephant eats 4-5 bales of hay and 10 – 18 pounds, or 4.5 to 8 kg, of grain. Annually, that’s more than 29,000 kg of hay and 2700 kg of feed per animal. Naturally, buying all this food puts a serious dent in your household budget. An elephant also needs to be bathed and thery don’t exactly fit inside your tub! Elephants also need to drink and in a drought-ravaged country like Australia, an elephant places an enormous drain on your resources. Their daily water consumption is 25 – 50 gallons per animal, or 100 – 200 litres. Let’s hope you’re not depending on a rainwater tank! I wouldn’t like to run into a thirsty elephant on the rampage! Obviously, just satisfying the consumption requirements of an elephant, even a metaphorical one, takes an enormous amount of effort. However, that’s only half the story and to be perfectly honest with you, that’s the better end of the story too! As I said, what goes in must come out and in the case of a herbivorous elephant…out and out and out!!!!! 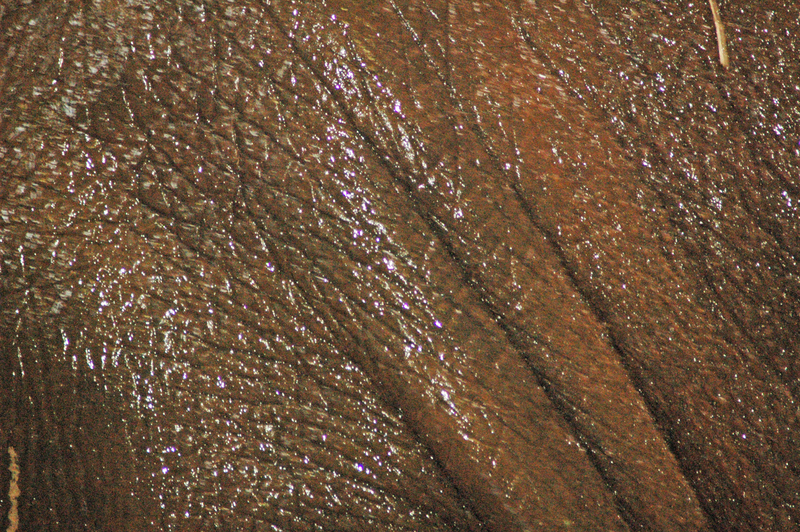 An elephant defecates from 12 to 15 times a day, a daily quantity of 220 – 250 pounds. 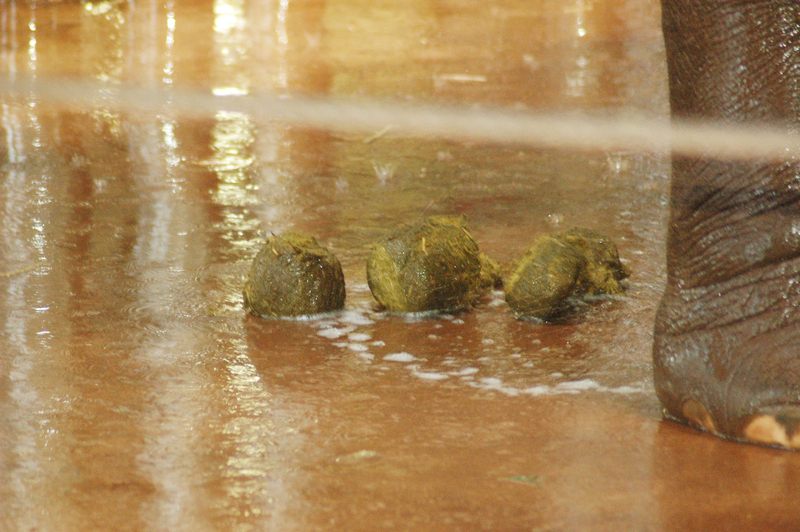 This adds up to a yearly quantity of over 85,000 pounds of manure, more than 40 tons per adult elephant. That’s a huge pile of dung in your room and can become something of a Tower of Babel rising right up to your ceiling and you really wouldn’t want to fall in!! Yet, that’s not all that comes out either! Elephants also produce huge amounts of methane gas. Properly equipped, a car could travel 20 miles on the amount of methane produced by one elephant in a single day. That also makes having an elephant in the room, a rather stinky proposition, well beyond the scope of even the strongest air freshners. Urgh! So after exploring the barest minimum survival, “nothing fancy” requirements of that elephant living in your room, perhaps you, like me, can appreciate that it’s time to send that elephant packing. The current elephant in our room is our daughter’s health. She is struggling to eat and is seriously under weight. She’s 9 years old and eats less than 500 calories most days when she should be eating upwards of 1,800. Most of the time, she can only eat very small amounts and then feels sick. She also complains about bread and potato getting stuck in her throat and troubles with reflux. You can just imagine the stress that we’ve been through having a child who doesn’t eat. She’s now 9 and this has almost been going on almost since birth. Well-intentioned multitudes have told me that they’ve never seen a child starve themselves to death but our daughter has certainly pushed the boundaries. It might just be the gastro bug that’s been going round or our increased awareness, but she seems worse over the last couple of weeks and is arriving home from school looking weak and off-colour but perks up with food and will eat something. At the same time, she’s a pretty active kid so it’s hard to understand where she is getting that energy. It’s been very perplexing. Late last year, we took matters in hand and over the last couple of weeks she’s had a barium meal test, an endoscopy and a tube into her nose to check her throat. She’s been so brave and gone through this with courage and strength but even though I’ve had these tests myself, it’s awful to watch her suffer. My heart aches for her and I just wish I could simply kiss her and make her better! Yet, I can’t and rather than being the strong rock I’m portraying, I want to cry and cry and cry. Crumble apart like sandcastle being swept away by a sea of tears. A bit melodramatic, I know, but she’s my little girl…our princess! So for us, dealing with the elephant in the room has meant documenting what she eats and after realising how close she is to running on empty, I’ve bought her some medical food replacement drinks to at least try to bridge the gap while we seek answers. I know I probably should’ve been looking into her calorie intake before, but I’ve been trying to keep this low key. I don’t want this thing to evolve into an eating disorder and I wasn’t sure that teaching a child who doesn’t eat about calories was a good thing. The same goes with getting on the scales. I also don’t want her feeling bad about herself or thinking that she’s faulty in some way. I would love to be thin but the more I look into how she is, the more I’m noticing that she’s becoming like a car running out of fuel. Moreover, I’m also realising that whatever the elephant in the room might be, identification, classification and treatment are beyond my capabilities. I don’t know whether my awareness has just increased but she’s seemed worse this last week. She’s come home from school really tired and lethargic a few times. Feeling completely confused, stressed and perplexed; I didn’t even know which doctor to call or whether I should go to emergency or what. I’m trying to limit her doctor’s appointments and so I needed to pick the right doctor out of the hat. After flapping around all week and getting some good advice from the pharmacist and some food replacement drinks, I finally rang her paediatrician yesterday. I was trying to get my story out and convey some sense of urgency but didn’t need to. She gave me an appointment this very Monday. The only thing worse than having to beg and plead for an emergency appointment is being offered one. Then, you know that your worries are really something to worry about. At the same time, I am so relieved!! Whatever we’re dealing with, we are no longer alone. Our concerns are being taken seriously and help is on its way. Our paediatrician really is excellent and I know he’ll help us navigate whatever this is and find a clear path. We are also fortunate to know two people with delayed gastric emptying, who have been very helpful and supportive. I also expect we’ll be seeing a dietician and other health professionals who’ll enlighten us. I’m sure that now we’re starting to expose the elephant in the room and reveal it’s true identity, it’ll either take off straight away or deflate from a 4,500 kilo elephant into a mouse-sized ornament. Thank you to all those of you who are supporting and encouraging me through this journey with our daughter. It is much appreciated and reflects so positively on the bonds of friendship forged through blogging and even though we have never met face-to-face, that we are connected, if not becoming good friends. This entry was posted in Chemotherapy, Compassion, Health, Parenting and tagged acceptance, anxiety, Australia, Australian, auto-immune disease, barium meal, blogging, CBT thrapy, chemotherapy, children, chronic illness, coeliac disease, compassion, daughter, Delayed Gastric Emptying, diagnosis, elephant, endoscopy, family, fear, frienship, gastroparesis, healing, health, hospital, kids, love, malnutrition, paediatrician, parenting, prayer, Serenity Prayer, sick kids, survival, survivor, Sydney Adventist Hospital, Taronga Zoo, tummy aches, underweight, weight, weight loss, worry on March 29, 2015 by Rowena. 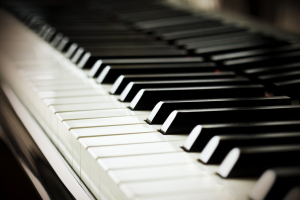 Before I discovered the violin, I grew up playing the piano and this post felt like a trip down memory lane. “If music be the food of love, play on,” Shakespeare wrote for the opening line of the play ‘Twelfth Night’, a classic line with deep meaning which I have spent many hours of my life trying to fulfill. In many ways I have often felt as Duke Orsino must have felt – pining for the unobtainable and falling fowl of my own choices! This entry was posted in Uncategorized on March 25, 2015 by Rowena. Today, it’s Harmony Day in Australia which is all about standing up for and defending inclusiveness, respect and a sense of belonging for everyone. However, while it’s much easier to talk and wax lyrically about acceptance, tolerance and understanding, it is much harder to implement these essential values into the daily grind. While we might fight for the popular causes of social injustice, especially when they are shouted out by the media, we so often miss and even walk over the supposedly invisible battlers who even live alongside us. Their plight might slip through the radar but if we truly used our eyes and ears and slowed down to walk in their shoes, we would know that they could use an extra helping hand to feel valued and included. Given my personal situation, I have a real heart for all who live with a disability. While many go on and become high achievers in a wide range of fields despite their challenges, many are marginalised and living in very difficult and even inhumane circumstances. The struggle is though, how can we as individuals be more inclusive and help even the most marginalised members of our community feel respected and included? This is quite a challenge. We are all juggling more balls than we could ever humanly manage. Moreover, when your life’s zipping along in the super fast lane, it can be very hard to slow yourself down. Not necessarily to a grinding halt but the slow, indeed very slow pace, required by someone who is struggling. As someone with mobility issues, I am constantly struck by those I love who instead of walking with me, charge off into the distance as though their lives depended on it. They can’t walk with me. However, I am just as guilty. I can easily get frustrated when I’m helping the battlers with the reading at school and have to remind myself to be patient. Although I want to help, I also get frustrated because I am having to slow my speed down… the very same way a fast walker gets frustrated slowing down for me. Multiculturalism and accepting cultural difference is a major part of Harmony Day. In the past, Australia had the White Australia Policy and a very narrow perception of what it was to be Australian. This vision even excluded our indigenous Aboriginal people. Our Indigenous Australians weren’t allowed to vote federally until 1967. That is a national shame and disgrace and it’s just the tip of the iceberg.Prospective immigrants were also given a notoriously racist language test as well…especially when they came from an “undesirable” country. As a nation, some of our sins run deep. In more recent times, as in other countries, a policy of multiculturalism has been adopted and we have been encouraged to explore and accept diverse cultures, even absorbing them into our own way of life. This process so often begins with food but gradually extends to other areas through the bonds of friendship and love. Without multiculturalism and diversity our community would be bland, grey and dull. Countering these values of inclusiveness, respect and a sense of belonging for all, we have what I’ll call a range of “bullies”. They come in different guises: “nationalism”, “racism”, “fear” or simply being too busy. As people take more of a stand against these bullies, we are now also being asked not to be passive bystanders as well. Rather, we need to be whistle blowers, standing up and protecting the weak or disadvantaged against these bullies with their abuse of power. Taking this a step further, responsibility also needs to extend beyond the bystanders to include the by-passers as well. The story of the Good Samaritan provides a great illustration of how a by-passer can walk passed someone in need or alternatively they could stop and help. Of course, this reminds me once again of that all-important Golden Rule: treat others as you would like to be treated as well as the Inverse Golden Rule where we treat others as they would like to be treated. These are an excellent guide for how to treat others. At the same time, I must admit that there is so much demanding our compassion that we have to be selective. As individuals, we can’t stop and save everyone. Indeed, sometimes, we could even use more than a helping hand ourselves. Yet, if each one of us reaches out to even a few, then collectively, at least in theory, everyone could be reached, included and belong. That’s if they want to. Getting back to celebrating Harmony Day, I was very touched by the Harmony Day assembly held at our children’s school on Friday. My daughter’s class sang Somewhere Over the Rainbow in sign language and the kindergarten children sang Twinkle Twinkle Little Star in Japanese. We also had parents from Japan and India talk about their childhoods in their own countries, which were surprisingly similar and just proved what my grandfather has always said: “The Geese go barefoot everywhere”. A friend of mine also performed the most sensational Indian Dance and it was the first time I’ve ever been able to experience its incredible beauty and intricacies and it was such an incredible journey, which I intend to pursue further. 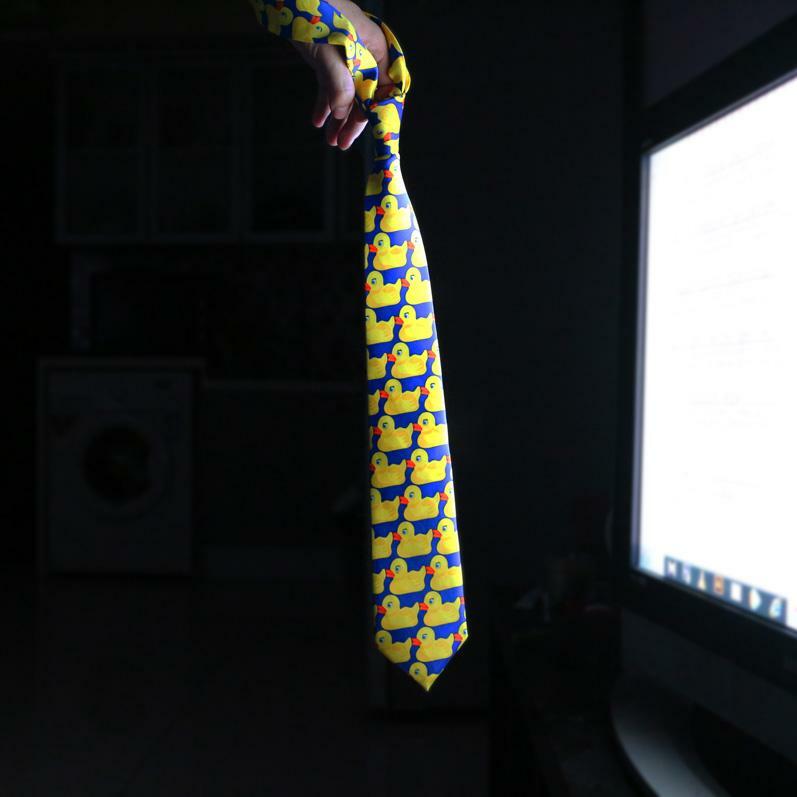 Here is my little contribution to Harmony Day. It’s Twinkle Twinkle Little Star where each line is sung such in a different language.I did actually try to find a verion in an Aboriginal language but so far have had no luck. Will have to follow that up. Daddy drives a rotten car. Off we go in a cloud of smoke. Source: Far Out Brussel Sprout. compiled by June Factor illustrated by Peter Viska Oxford University Press, 1983. I’m not only daring you. I’m also challenge myself.This is not an easy mission at all but nothing worth fighting for ever was. By the way, a month ago, I was involved in a world-wide blogging movement to promote compassion…#1000 Speak. This month, we are writing about bullying. This is my contribution to the project. I thought Harmony Day was a good example of how we as the Australian community have decided to stand up against a range of bullying which stems from intolerance of difference in others. Bullying which comes in so many, different guises has the same effect of crushing and tormenting it’s victims until they somehow find a way to stand tall. Nothing seems to deflate a bully better than strength. Somehow, those being bullied need to inflate their self-worth. Believe in themselves and stand tall. 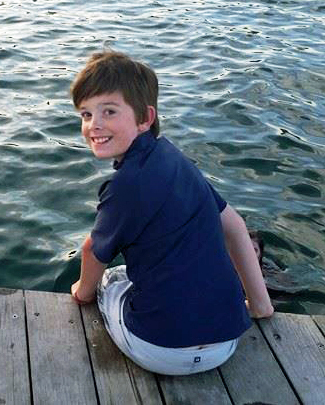 After all, nobody is meant to stand small…not even our kids. After all, you know I’m not talking about physical size but a state of mind. So no matter where you are in this hotchpotch symphony we call community, know that you deserve to be valued, treasured and accepted for who you are. Moreover, you also need to do the same and pass it on. Then, we will all be able to grow into our own shoes we and walk our beautiful planet with pride. This entry was posted in Australia, Compassion, Love and tagged #1000 Speak, acceptance, Australia, Australian, Australian History, bully, bullying, bystander, disability, diversity, fear, friendship, Golden Rule, Good Samaritan, Harmony Day, Harmony Day 2015, hate, history, Inverse Golden Rule, language, love, multiculturalism, nationalism, Pink, racism, symphony, try, Twinkle Twinkle Little Star, White Australia Policy, xenophobia on March 22, 2015 by Rowena. Community is a Symphony…Not a Solo Performance! As much as we might deify the Renaissance “Man” and worship the modern cult of celebrity, it’s easy to forget that community is a symphony, not a solo performance. That we need an eclectic diversity of voices, cultures and thoughts to create the depth and richness we need to be an innovative, creative, meaningful and productive society. A diverse community not only means a healthier community but it creates a more inclusive sense of belonging rather than those mutually hostile “us” and “them” enclaves which can potentially become very destructive. 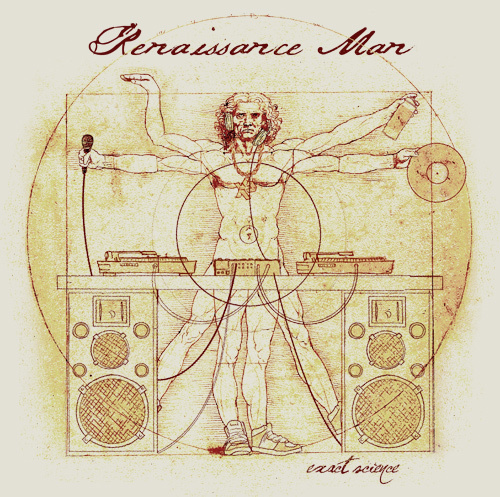 Leonardo Da Vinci’s Rennaisance Man. Moreover, for community to progress, those different parts need to come together not as one colourless, amorphous blob but as an integrated whole where each retains its sense of self and unique character. 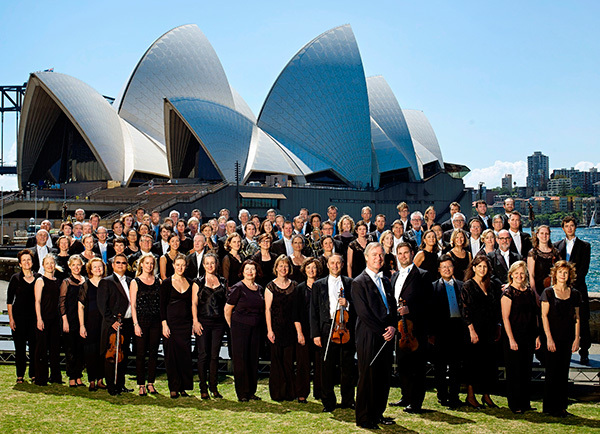 This is like individual musicians coming together to form an orchestra where instead of playing a solo, the different parts harmonise to produce a richer, more complex and mind-blowing sound.No one player, other than a soloist, dominates the performance and different instruments stand out or indeed rest throughout the piece. Not unsurprisingly, all this synchronised integration doesn’t just magically happen with the click of the fingers. Oh no! Coordinating all these varied musicians, each potentially exceptionally talented in their own right, not only takes a conductor and their stick but it also asks each individual musician to give up something of themselves for the performance.This is a big ask but they comply because while there is glory, adulation and enjoyment in being the prima donna soloist, there is something miraculous as well about being a small part of an incredible, much grander and even ethereal sound. It is also an incredible experience to play your instrument with fellow musicians where you somehow connect through those fusing sounds in a way that isn’t always possible through words. 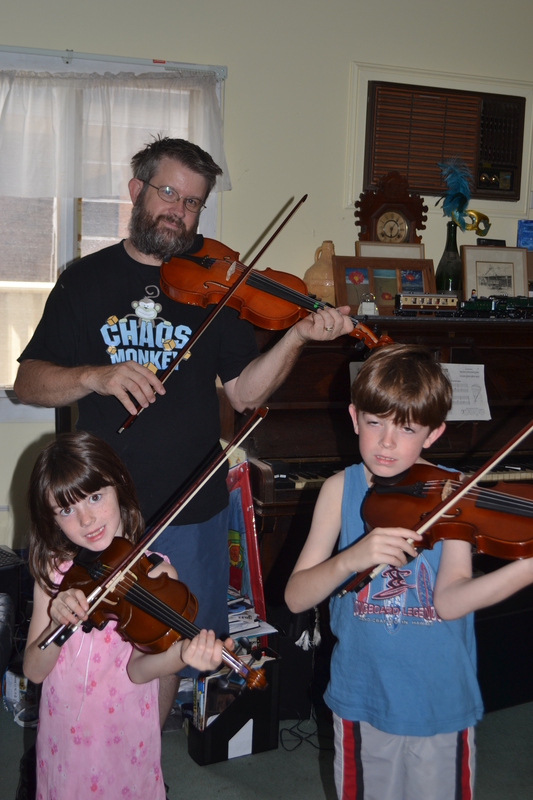 The family playing violin a few years ago. Humble, novice violinist that I am, I play my violin in an ensemble. Most of the time the pieces we play are intentionally easier than our own pieces and sometimes my part is very basic. To be honest,sometimes it gets a bit dull. In some pieces, I’m playing lots of 4 beat semi-breves and when I practice at home, it can get a bit boring and tedious and I drift off. However, when I’m playing with the ensemble, the same part can actually become quite challenging as I divert much of my concentration to listening to the other players as well as trying to perfect my timing. I am, after all, no longer an individual but part of an integrated whole which needs to work together. While we don’t want to sound like a machine, we do need that precision and timing. As I said, there’s depth, texture, complexity and as well as that spark which is created when a group of musicians comes together and adds an amazing je ne sais quoi. Put very simply, the whole is greater than the sum of its parts. 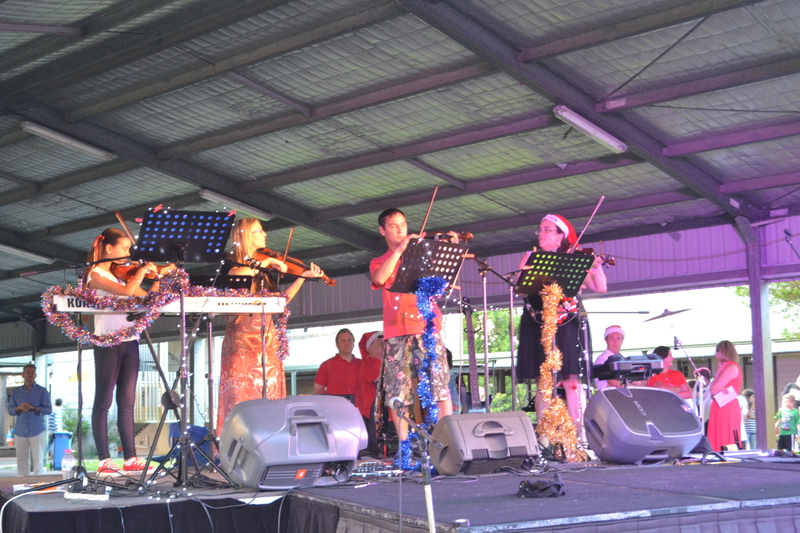 Our violin ensemble performing at the school carols night. I should also emphasise that when as our various parts harmonise, we are playing different notes for varying lengths of time and at a different pitch. Being in harmony, means difference coming together to produce a great sound not everybody playing exactly the same thing. That no one else can share. All our sorrows we’ll leave far behind us there. When we live in a world of our own. 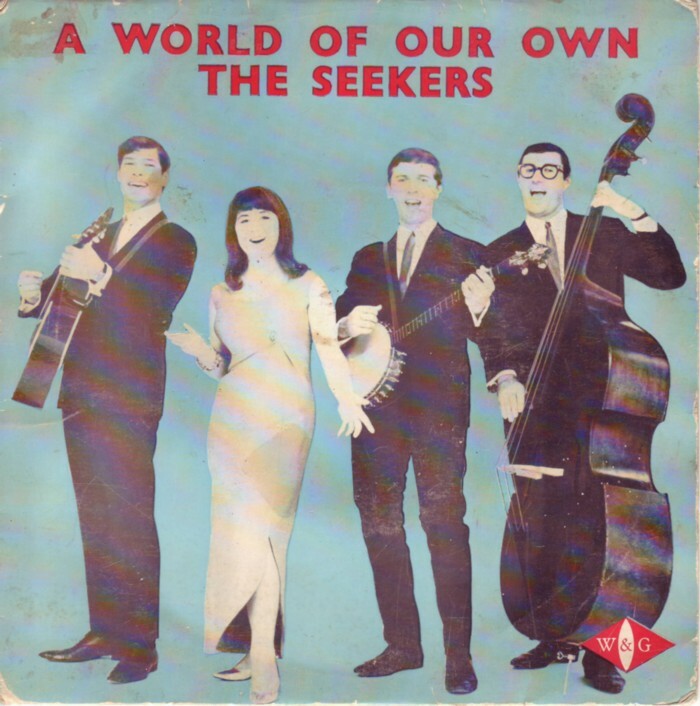 The Seekers:”World of Our Own”. However, building a cohesive, diverse community is continuous work-in progress, largely because individuals don’t want to sacrifice themselves for the sake of the greater good or an element of extremism takes off which doesn’t tolerate any kind of conflicting view. For some of us and include myself here, the allure of being a prima donna is great. We want to be the star and strut around the stage. There are so many rewards for being Queen or King of Centre Stage and relatively few for being a backstage genius. However, we learn more when we listen and I dare say we also grow more when we work with others and learn how to work successfully together in harmony. It is a challenge which begins with me. 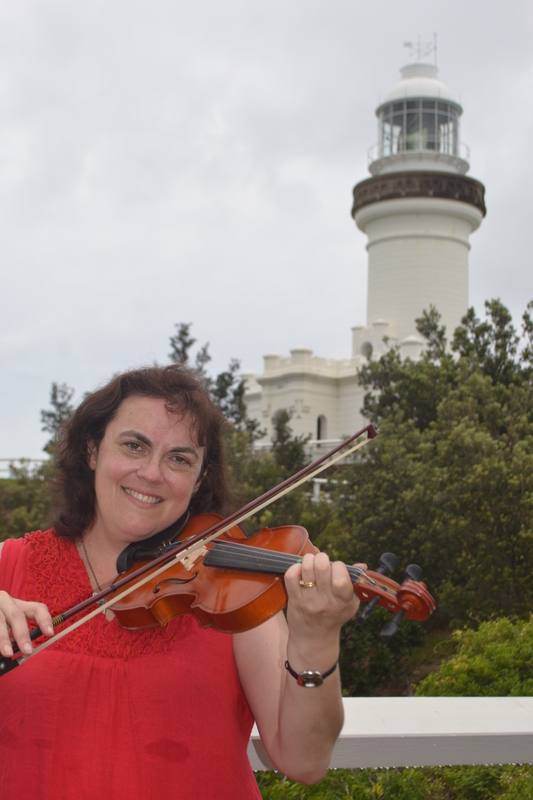 Being a real prima donna posing outside Byron Bay Lighthouse on holidays. i almost died when someone asked me to play. “I have to tell you, I’m proudest of my life off the court. There will always be great basketball players who bounce that little round ball, but my proudest moments are affecting people’s lives, effecting change, being a role model in the community”. This entry was posted in Australia, Compassion, Love, Uncategorized, Violin and tagged #1000Speak, A World of Our Own, Australia, Australian, Byron Bay Lighthouse, celebrities, celebrity, community, cult of celebrity, ensemble, Gestalt theory, harmony, Harmony Day, Leonardo da Vinci, Magic Johnson, Marx, music, musician, Nelson Mandela, orchestra, prima donna, Rennaisance Man, school band, school orchestra, socialism, strings, Sydney, Sydney Symphony Orchestra, symphony, symphony orchestra, The Seekers, The Simpsons, The Simpsons Band, violin on March 21, 2015 by Rowena. Homeward Bound: Palm Beach to Ettalong. No doubt, all weekends away end up feeling like Cinderella’s horrific crash landing after the ball. You’re back in rags, your coach is a pumpkin and both you and Prince Charming are so quite what you used to be. My weekend in Palm Beach was no different and once I’d polished off that divine chocolate cake and all that luscious chocolate sauce, I was on borrowed time and the clock was really ticking. Tick-tock..tick-tock…tick! TICK! BZZ!!!!!! 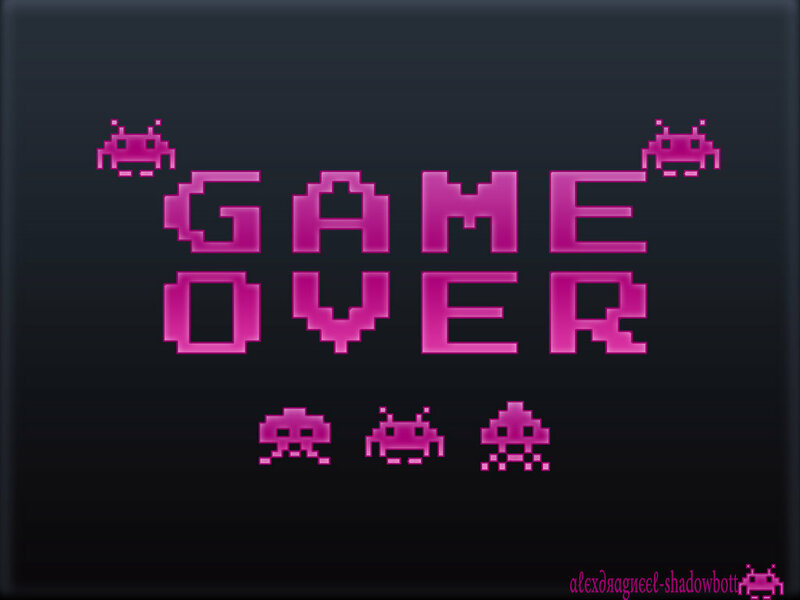 Game Over!!!!! However, as the rain and wind whipped around, a lingering doubt emerged. Could the ferry service actually be cancelled? If so, how on earth was I going to get home? No ferry would stretch the 30 minute journey home into an extremely long, arduous, meandering journey involving 2 buses, 2 trains and not only a packed lunch but also dinner and possibly even a midnight snack. This was obviously a serious concern!! However, as if I would travel all that way when I could just stay another night and wait until the storm cleared! Yeah, right!! I could just imagine how well that would go down! There I was living it up in Palm Beach while Geoff had been at work and taxiing the kids around and then he’d be having to take time off work as well to get them to school. Yes, I’d be extremely popular!! Indeed, it could even be grounds for divorce! We’ve been on some pretty ragged rides on the ferry before, crossing the high seas where the waves loomed like skyscrapers overhead and our beloved ferry felt more like Scuffy the Tugboat, seemingly tossed like a salad in the ferocious surf. 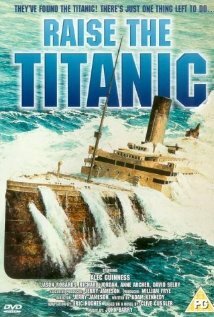 Of course, the kids who have a real penchant for melodrama, were freaking out about sinking, drowning and, of course, even dying while the ferry plowed on through the drenching rain and heavy winds. Ghostly white and sitting on our laps wrapped up in our arms, the kids are vowing never to catch the ferry again. That was a few years ago now before they became intrepid sea scouts! The ferry service was cancelled for the rest of the day after that. I was concerned about the ferry being cancelled on Sunday too. Sure, I know we’re not crossing notorious Bass Strait of Sydney to Hobart Yacht Race fame but the weather still gets wild enough. Wild enough to cancel the ferry. That’s right. There comes a point when even the most intrepid Palm Beach Ferry Captains hang up their hats and stay on terra firma. However, I’m in luck. The ferry is running and although the weather is a little rough and wet, it remains quite civilised. 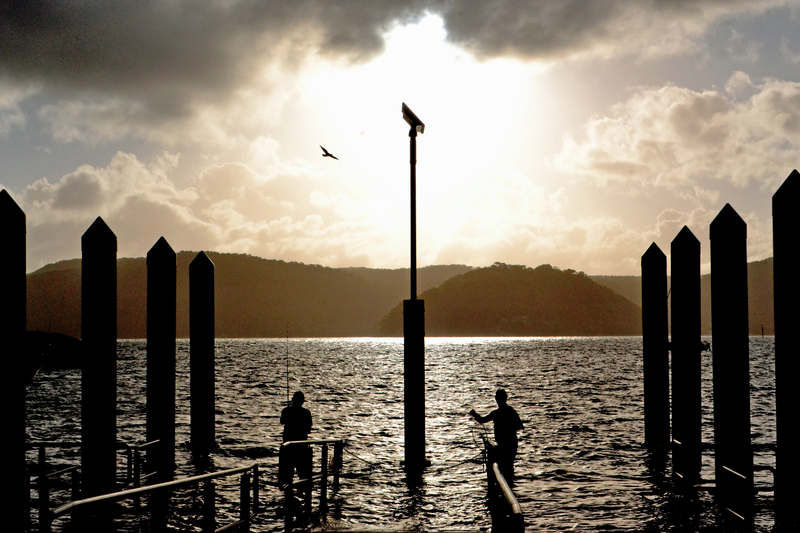 Sunset Palm Beach Wharf…so pleased that bird dropped into the shot! A friend from Church drops me off at the wharf with 15 minutes to spare where I can enjoy watching some people fishing while the sun sets. I am reminded of Ernest Hemingway’s The Old Man and the Sea. However, the keen fisherperson is a woman and she knows her stuff. With the precision of a plastic surgeon, she wraps up a cooked prawn in some plastic netting salvaged from a bag of fruit and pushes the hook through. That prawn won’t come off without a fight, so the fish will have to work a bit harder tonight if they want a free feed!! At 6.15pm, this is the last ferry and in contrast to yesterday’s rowdy party atmosphere, the ferry is almost empty. There’s just a few weekend stragglers on board and pure silence. You could even meditate it was that quiet. Talk about a contrast!! We all sit inside…even me who is all but always out there on deck pushing the limits with my camera. Too wet, too windy and way too bumpy tonight. Time to take it all in through the rain-stained window. 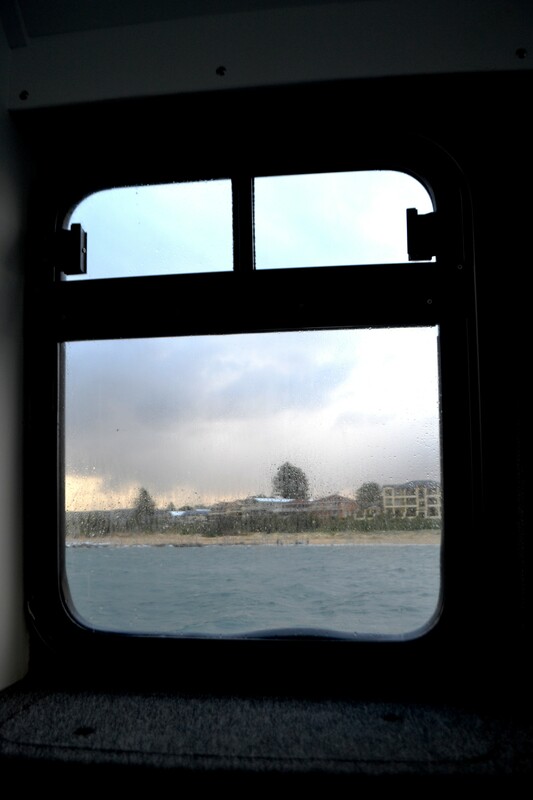 The View through the Window- Palm Beach Ferry. 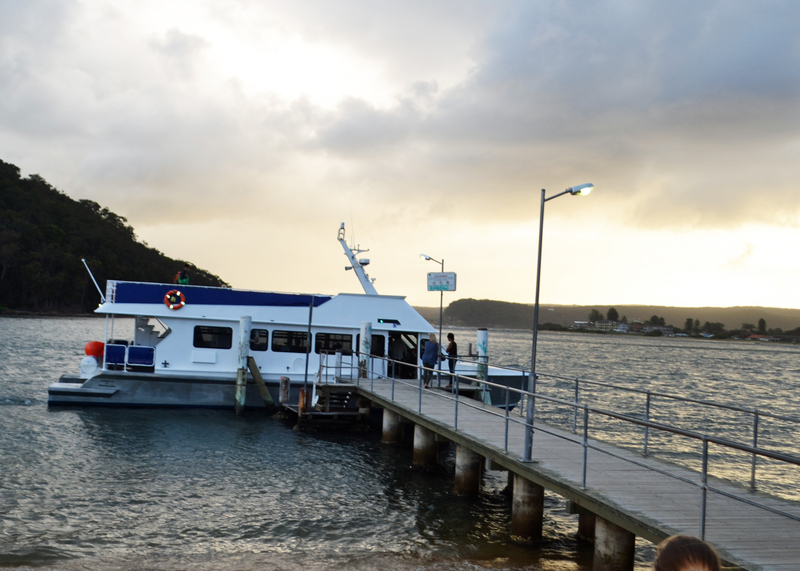 The Palm Beach Ferry returns to near deserted wharf at Ettalong as the weekend draws to a close. However, when the ferry pulled into the wharf, there was no one there. The wharf was empty, deserted and not even a sign of our car anywhere. No enthusiastic waves. No hugs. No Mummy!!! Just the sun setting over a deserted beach and the sounds of the wind and the surf. It’s not that I’m looking for sympathy or even a chorus of: “where were they? Why weren’t they there to pick you up? How dare they!” I mean…it’s not like I cried or anything. However, after building up the big greeting all the way home and really looking forward to seeing the rest of the family, I did feel a bit sad, forgotten and (drum roll) ABANDONED!! Serves me right for going away for the weekend without them. This was karma and a taste of what it’s really like to be alone. As it turned out, the family wasn’t far away and had got held up at scouts. 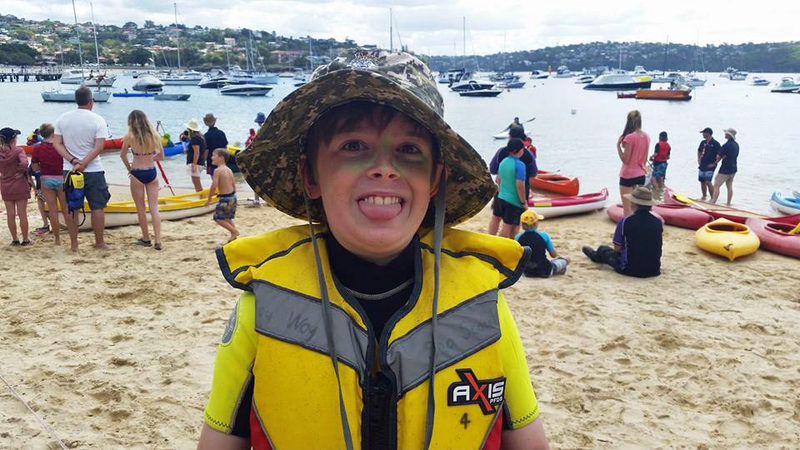 Geoff and the kids had been unloading boats, kayaks and all sorts of paraphenalia from their weekend competing at the Sirius Cup at Sydney’s Balmoral Beach. That’s all. Nothing sinister! Mister poking out his tongue while scouting at the Sirius Cup, Balmoral Beach. Mister had had great fun and made it into the finals for the C2 at the Sirius Cup, which means a 2 person canoe. We were so proud..particularly as he’d overcome his fear of sharks and other nasties and gone for it!! Miss had done really well at her Cub leadership course too. However, there are unfortunately no photos. A reflective moment during scout camp. It’s been a fabulous weekend. Absolutely fabulous!! Geoff even managed to watch the Grand Prix! Unfortunately, it wasn’t Australian race champion, Daniel Riccardo’s day. Boo who! Tomorrow…it’s back to yet another manic Monday morning. I’m going to need a pretty strong coffee to get me going. It’s going to be like raising the Titanic. The Monday morning salvage routine is going to be tough!! This entry was posted in Australia, Humour, Photography, Sydney Postcards, Travel, Uncategorized and tagged anxiety, Australia, Avalon, Balmoral Beach, boats, Brisbane Waters, catastrophe, Central Coast, cubs, Ernest Hemmingway, Ettalong, Ettalong Beach, families, family, ferries, ferry trips, fish, fishing, Hemmingway, hugs, love, mom, Mommy, Mommy Blogger, mum, Mummy, New South Wales, Palm Beach, Palm Beach Ferry, panic, panic attack, parenting, Pittwater, scouting, scouts, shipwreck, smiles, Sydney, Sydney Ferries, The Old Man & The Sea, travel, weekends, weekends away on March 20, 2015 by Rowena.